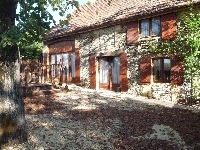 HOLIDAY HOMES TO RENT IN DORDOGNE, AQUITAINE. 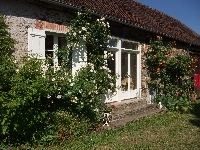 Welcome to our selection of holiday homes to rent in Dordogne, France. Located in the south-west of the country, the departement of Dordogne is named after the river that winds its way through much of the central regions of France. A mostly rural area, with medieval villages, country houses and plenty of activities for outdoor lovers, the Dordogne has always been a popular destination with visitors to France. The most beautiful scenery and picturesque towns and villages are to be found in the south of the departement, in the Dordogne valley itself. Start at the fortified hilltop village of Domme, which offers great views over the river and surrounding countryside. The pretty streets are home to a number of historic buildings, such as the impressive 17th century market hall and the medieval walls and promenade, where the best viewpoints are to be found. Travelling west you come to the smaller village of La Roque-Gageac which is located at the bottom of a cliff, alongside the Dordogne river itself. Home to a large church and a troglodyte fort carved into the hillside, La Roque-Gageac offers a different perspective on the local scenery. If you prefer your outdoor scenery more ordered, rather than the wild cliffs and forests bordering the river, then the Marqueyssac gardens a few kilometres further west are a must. Located on a rocky outcrop above the river, the area has been transformed into a pleasant garden with flowerbeds, hedges and lawns � as well as a commanding view over the river and the village of La Roque-Gageac below. Following the course of the river, visitors will eventually reach the town of Bergerac, famous for its vineyards. The picturesque medieval town is worth a visit itself, offering barge trips on the Dordogne, several tasting rooms where you can sample local wines and even a museum dedicated to tobacco. The vineyards themselves are located in the area to the south of the town, and many caves offer tours for visitors, usually including a free sample of their produce! North of the Dordogne valley is an area that has become world-renowned for its prehistoric sites. The Vezere valley is home to some of the most famous cave paintings, including the legendary Lascaux cave which was discovered by accident in the early 20th century and contains some of the best examples of prehistoric art in the world. Access to the cave is limited in order to preserve the paintings, but visitors can enjoy a walk around Lascaux II, a recreation of the original site. There is also a museum dedicated to prehistory and prehistoric art in the town of Les Eyzies-de-Tayac-Sireuil and numerous walking trails to help you explore this fascinating area. Looking for self catering holiday accommodation in Dordogne? Then below is a selection of gites in Dordogne and villas in Dordogne that can be rented direct from their owners. You can either click on each listing for further details or you can use our search engine on the left if you are looking for something in particular.